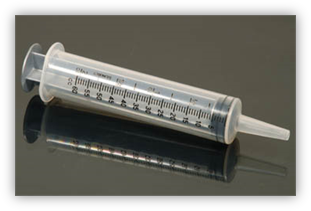 The 60cc Dosing Syringe can be used to orally medicate newborn foals under a veterinarian's direction. The catheter tip opening allows quick effective dispensing into the foal's mouth and the rubber plunger is easy to operate one handed. Graduations in both ounces and milliliters are provided. Available in boxes of 20, this item is non-sterile.